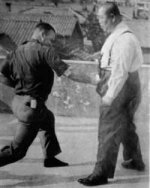 In my article “Internal vs. external martial arts” I explain that the term “internal” is a reference to neijiaquan ("internal method fist") – a group of martial arts in China comprising taijiquan, baguazhang and xingyiquan, as well as some related arts and offshoots (eg. liu he ba fa and yi quan). These are easily identifiable arts with a very specific set of techniques based on common principles. The internal arts are commonly distinguished from other arts (named waijiaquan or “external method fist”). Many argue that this distinction arises because the former rely on “qi” (“ki” in Japanese) – a term literally meaning “breath” and often used to describe a metaphysical “energy”. As I will discuss later in this article, internal arts techniques have a unique function. While many people still cling to qi as an “explanation” or “description” of this function, I don’t consider this to be factual/accurate. It is true that this “explanation” or “description” does have a certain internal logic or consistency: the problem is that it doesn’t have any consistency or logic outside its own sphere. For me qi is clearly just a “pre-scientific” paradigm – a philosophical and theoretical framework developed in the absence of our current knowledge of physics. the internal arts prioritise impulse – ie. the transfer of momentum. 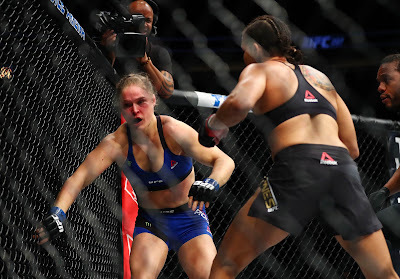 (b) because it seemed to that the biomechanics of “hitting hard” were common to all martial arts – internal and external. Accordingly I wanted to conduct an analysis that would account for both an external or internal approach (particularly since I had experienced both and could see them producing equally valid results, albeit in different time-frames). In undertaking this exercise I feel I have resolved, to my own satisfaction, what people mean by “qi” (to the extent that they are honestly and sincerely using the term to refer to practical techniques). 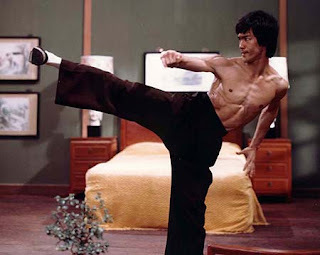 I am fairly certain that, for the most part, “the flow of chi” in a martial context equates to “the flow of momentum”. While internal martial artists like Tim Cartmell2 have referred to qi as “intent”, I think this view is consistent with my physics analysis: mastering a physical skill (eg. a golf swing) involves giving effect to your intent; and you do so by having efficient momentum transfer. The problem I have with such videos is that they do a huge disservice to the internal arts (and, for that matter, the traditional qi/ki paradigm). Because of the plethora of such material available today, people are inclined to confuse the legitimate, traditional internal arts schools with cheap parlour tricks and fakery of the kind demonstrated above. In short, all things “internal” are being tarred with the same (awful) brush. I don’t think practitioners of real internal arts are entirely blameless for the rise of this “fakery” phenomenon; there are many internal schools that use superficially impressive demonstrations of “pushing” to illustrate the “power” of the internal method. The problem is they are just that; demonstrations for public entertainment that have little to do with the actual techniques of the internal arts (which, as I have said, focus on momentum transfer, not “displacement”, “work” and hence “power” – see also my article “Visible force vs. applied force”). The function of “pushing” type tests in the internal arts is marginal. It usually has to do with testing balance and stability – as discussed in my article “Grounding”. Seen in this light and practised in the context of sensitivity drills such as “push hands” you can see that there is some legitimate base for what has morphed, in some schools, into pure satire. That many students will be acquiescent/non-resistant in the hands of a senior and highly respected teacher only aids this process. Consider the video below where a 94 year old bagua teacher appears to be demonstrating basic principles of balance: his students are letting themselves be pushed/manipulated by their (obviously much admired) teacher3. 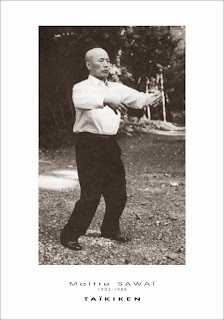 That he is also not actually demonstrating any bagua techniques is probably lost on those who know nothing about that art. You’ll have to wait until the 1:25m mark for some applications which provide the contrast between this video with the previous “bagua” video above. Yes, Tim Cartmell is not being resistant. But is there really any doubt that Xie is performing honest martial arts techniques? You’ll notice an absence of jumping, pointless falling or other histrionics by Mr Cartmell... No magic, no running backwards across fields etc. Just some straightforward bagua techniques. Not impressed? Whoever said internal arts had to look like magic? What is impressive to me is that this old man could still apply some decent, direct and simple fighting skills (particularly suitable when it is clear that a person his age could not rely on “power” – eg. a massive shin kick to a heavy bag). 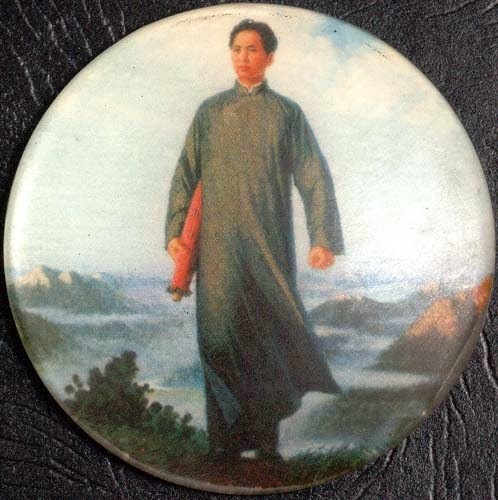 If arts like karate have suffered dilution over time (as I have previously argued), the internal arts have (especially on and from the Cultural Revolution) suffered an even greater dilution. This (together with its unfortunate nexus with “new age” fads in the West) has led to what I consider a great deal of misunderstanding about the principles of internal arts and their application. People often expect the internal arts to be about something “paranormal” or magical. They are not. But if the internal martial arts are not “magic”, what are they? How do they develop “efficient momentum transfer”? What does this mean anyway? Most external martial arts focus on practical training. External martial artists today will often don gloves and begin sparring the day they first walk into the studio. Emphasis is placed on this “live environment” and on physical conditioning, such as hitting bags or striking posts and strength training. Even if an external martial arts school doesn’t emphasise free sparring (and many traditional external schools do not) it will commonly contain a higher degree of “application-based” training than its internal counterpart. By contrast, internal techniques are usually grooved in isolation – much as one might groove a golf swing or tennis shots in a “non-live environment” (ie. not in a game). Let me put it this way: you could train to hit a golf ball further by weight training (ie. increase your strength and your power output), or you could train to do so by perfecting your technique. In golf it is easy to see how the latter is better: many a “senior citizen” can hit the ball right up to the green where a young muscled beginner can only hit the ball a few metres. Similarly in tennis “power” is seldom useful against even slightly superior technique. Rather, a premium is placed on spending time practising moves in isolation with your coach – even long after you’ve started training in a “live environment”, but particularly before you do so. Consider that my tennis coach trained me for a full 2 months before he reluctantly said I was ready to go to the local club and play some doubles – he said they wouldn’t have even let me join before that (I wasn’t very good, nor I am to this day)! I believe that it was in the context of such “skilled application of force” that the myth of “magical power” crept into the internal arts folklore. It was observed that internal artists were applying the same force but needing to “work” less, hence use less power and require less muscle, than comparable Shaolin practitioners. In the traditional “qi paradigm” internal arts were said to develop/build something other than muscle – an “internal” strength rather than an “external” or physical strength (another example of misreading the term “neijia”). Surely qi would account for, say, an old man’s ability to apply successfully a vastly greater force to a little ball than a far stronger man in his prime? So on one end of the spectrum you can say that some martial artists spend most of their time refining momentum transfer in isolation (whether it be practising forms or walking the circle in bagua etc) before they attempt to apply their techniques. On the other end of the spectrum, untrained “big hitting” street fighters will spend all their time “applying” techniques, and never isolating them (like a self-taught tennis player might tell you he has no time to practise his backhand and forehand baseline shots because he’s “too busy returning balls”). These are extremes. Most martial arts schools – external or internal – adopt a methodology well within the spectrum. But the noted extremes do serve to illustrate generally the difference between the “internal” and “external” approach to martial training. It is also worth noting that in combat (unlike golf or tennis) the “pendulum of usefulness” has always swung more towards the external training methodology. Golf , tennis and other ball sports involve very few variables by comparison to free fighting: you can get into playing games and applying your “ideal shots” far more quickly. Combat, on the other hand, involves almost infinite angles and possibilities – so the variables are much greater, the level of “chaos” is higher and the chance of applying a “clean” technique is reduced. Simply put, in this environment power counts! Now I don’t wish to be overly narrow in my description of internal training methodology: it is not as if internal arts practitioners fail to apply techniques. They just spend a long time isolating movements before they apply them in a “live” environment (like most martial systems, the internal arts provide for the application of techniques in limited ways right from the start – in semi-free sparring such as push hands etc.). So traditionally they say that in xingyi you spend 5 years, in bagua you spend 8-10 years and in taiji you spend 15 years before you can rely on the techniques of those arts.5 I think that’s why most people who do internal arts for fighting (as opposed to health/fitness) do so in conjunction with other arts, or after coming from other arts (ie. as a means of adding to what they already know). 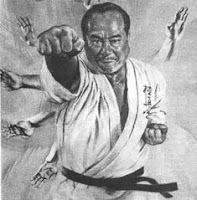 As I’ve said in my article “My quest for the martial holy grail”, my primary karate instructor (and his Chinese teacher Hong Yi Xiang) refused to teach the internal arts until substantial mastery of a practical external art (ie. an art that was not one of the xingyi, bagua or taiji group) had been achieved. Others will teach you the internal arts as soon as you wish, sometimes with the caveat that they might not be readily applicable in civilian defence, but more often without. Why? Many people the practise of internal martial arts for reasons other than civilian defence. For these people they are physical art forms that deliver health benefits – nothing more. Witness the number of “old folks” doing taijiquan, for example. The efficient flow of momentum, the biomechanically sound movement etc. in that art are all good for health (not in any mystical way, but in the sense of good design). My 70 year old internal arts teacher Chen Yun-Ching is an excellent example of the health benefits of the internal arts. He and his elder brother Chen Yun Chow are healthier and more supple in their bodies now than I am in my 40s. 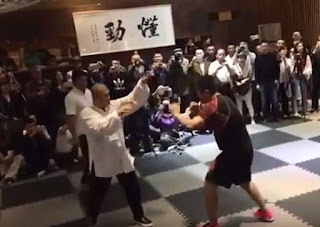 Going back to the issue of combat, xingyi is the “most external” and most immediately practical of the 3 internal arts. This is where I am focussed now from a civilian defence perspective (importantly, I still practise my standard external arts of karate/arnis/kobudo/qin-na etc. – from a combat perspective I do the internal arts as an adjunct). Bagua is “softer” and taiji is the “softest”. They are progressively more “advanced” in efficiency of movement, but progressively harder to apply and hence more “art-like”. I don’t advocate the internal arts as practical fighting disciplines for beginners or even intermediate (perhaps even advanced!) martial artists. But for those who have reached a point of diminishing returns in other systems, it is my opinion that the internal arts can breathe (no pun intended) a whole new life into one’s civilian defence method. I feel I am moving better now than I did in my 20s or 30s despite suffering arthritis and other health problems as a result of an immunological condition. I’m moving far “smarter” – ie more efficiently. But I don’t think I would have had any value from internal arts in terms of fighting until recently. Chen Yun Ching has said to me that the internal arts are not only good for health, they are good for defence at a particular time in one’s training. I respectfully agree with him. Clearly there are many schools of external martial arts that have a similar “technique isolation” training methodology aimed at generating efficiency. Often these arts also adhere strongly to a qi/ki paradigm. For want of a better term, I describe these schools as “soft” arts (although quite clearly hitting or throwing someone is never “soft”).6 A good example of such an art would be aikido. Leaving historical issues aside, why can’t aikido be classified as “internal”? The answer lies, quite simply, in the “skill set” – ie. the techniques – that make up the internal arts of China. These techniques are specifically geared toward generating impulse rather than power (again, see my article “Hitting harder: physics made easy”). But, the argument goes, surely all good martial artists should develop more efficient momentum transfer. Clearly, if you use the term “external” to mean “prioritising power” and “internal” to mean “prioritising impulse / momentum transfer” then every system can be considered a mix of “external” and “internal”. Put it this way – no strike can function without power. And no strike can be effective without impulse. What makes the internal arts of China very different from other arts is that their techniques not only benefit from better momentum transfer – they are designed around this concept. It is my view that the same cannot be said for other “soft arts”. Aikido for example has very few technical similarities to taiji, xingyi or bagua (although some try to connect it with the latter).7 In fact, aikido’s technical base is far closer to, say, karate, than it is to the internal arts of China. Yes, some locks etc. are congruent (as is the case with judo, jujutsu or modern BJJ). But how you deflect or engage an attack and enter into the lock is very different – as are the footwork, posture, hand movements – practically everything. The mere fact that in aikido one does not oppose force with force does not make aikido techniques “internal”. Accordingly, even when I refer to other arts as having “internal” features, I do so as a shorthand way of describing features that are technically “internal-like” (ie. “like taiji etc.”) – not similar in philosophy, goal, motivation or training methodology. 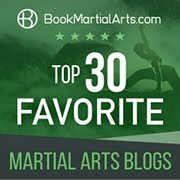 3. the tripping and unbalancing used in bagua (as opposed to, say, ko and o-soto gari). In future articles I hope to provide further examples of what I mean. But in the meantime you might well ask whether I can summarise the essential features of internal arts techniques. 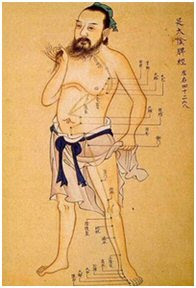 If I were to offer one distinct feature of the internal arts it would be a totally relaxed flow (in itself very difficult to achieve), punctuated by sudden outbursts of explosive movement – referred to in the internal arts as “fa jin”.10 Fa jin is readily found in xingyi and bagua. While it occurs in the Chen taiji form, it is only implied in the other taiji forms (eg. Yang, Hao and Wu). This does not mean that it is not part of those taiji styles; rather taiji (being the “softest” of the internal arts) places a premium on moving without muscular resistance – the free flow of your own momentum. Accordingly taiji emphasises the perfection of this concept. The video below provides an example of fa jin in Cheng bagua (see specifically at 0:45m and 1:07m). From my perspective the label “internal” is as relevant “karate”. It describes a group of Chinese martial arts styles with a similar historical and philosophical background, training methodology and technical base. That technical base is specifically designed to maximise impulse and rely less on power. By definition these techniques are highly advanced – however attaining skill in these techniques requires inculcation over a long period in an isolated, non-live environment. This makes the internal arts difficult to apply in civilian defence. The term “internal arts” is not a catch-all for “arts that are less aggressive/confrontation-oriented” etc. And “internal” most certainly does not equal “qi-based”. 1. For further background information see http://en.wikipedia.org/wiki/Neijia. 6. Readers should be aware that the internal arts of China are also referred to as the “soft” arts in colloquial terms. 7. The only “evidence” that Morihei Ueshiba, the founder of aikido, might have studied baguazhang is to be found in a speculation by BK Frantzis on page 118 of his book “The Power of the Internal Martial Arts” (1998 ISBN: 978-1-58394-190-4 (1-58394-190-8)) that Ueshiba might have been introduced to, seen, or practiced bagua while he was in China. 9. Shaolin styles like liu he men (see http://www.ziranmen.com/liuhemen/liuhemen.php) and preying mantis (see http://www.sixharmoniesmantis.com/) also subscribe to the “6 harmonies”. Find some more "academic" citations for this write-up, and it's exactly the kind of explanation that JAMA and CFA readers would enjoy - and I say this as one myself. Thank you Shidokai. I will have get some more academic citations then! Interesting rant. In golf, improving commonly unsee-able abilities such as degree of internal hip rotation can improve one's ability to have a better swing, leading to a better shot. That has little to do with the "crude force" of weightlifting, but does have to do with "better technique" and "better transfer of momentum". I'd certainly agree with this purely biomechanical view except that some very few of us have experienced the unbelievable phenomeon of being moved with no movement - very, very, very different from the clean golf swing or clean judo throw. I don't really know what to tell you from a scientific view as, even if you believed me, which I suspect you would not, the data points would clearly be outliers. However, I would never say this has anything to do with "faith". "Qi" is a poor hypothesis but with these data points it's hard to come up with a better one, just as science has verified things like different electrical conductivity at acupuncture points and acupuncture having a "statistically significant difference" from a placebo effect on things like pain, but no one has a better hypothesis, such that we would reject the "qi" hypothesis. To say "qi" is pre-scientific is correct yet I would say it's also an unsatisfactory explanation of some phenomena that science simply has no better hypothesis to explain yet. Thanks for reading and for your perspective. First off, I want to tell you that I enjoy your blog very much. Okinawan Goju-ryu was the style I was introduced to first as a teenager and I'm still sympathetic to it, although my attentions are more on the neijia these days. One concern I have is regarding your statements about chi (that it's nothing more than biomechanics). If that's the case, how do you explain chi-gung, Taoist and kundalini yoga etc.? I'll agree that most of what's called "chi" is just sound biomechanics, yet the power of the mind and it's relationship to bioelectricity can't just be dismissed out of hand. No, chi can't be dismissed out of hand. I would love there to be more to such a concept and I remain open-minded. I'm a bit of a fan of your writing since I found your blog a few days ago, Dan. Despite that - or perhaps because of that - I feel a need to disagree with your assessment of the 94-year-old Bagua master clip. You said: "Consider the video below where a 94 year old bagua teacher appears to be demonstrating basic principles of balance: his students are letting themselves be pushed/manipulated by their (obviously much admired) teacher3. That he is also not actually demonstrating any bagua techniques is probably lost on those who know nothing about that art." What my (albeit admittedly inexperienced) eyes see in it is not students allowing themselves to be pushed around, but students being displaced by surprisingly large "near-invisible" forces applied just right. It's not just about balance, but about attack angles, power, etc. I have no relation to this old master AFAIK, and have certainly never met him. I'm just giving my opinion of what it is I see based on my limited learnings in the internal styles. Perhaps I was a bit harsh, but I still think there is a bit of "teacher qi" going on here! Nonetheless, I did warn you that I often overstate arguments in my blog to get a reaction! Hi, Dan, that's exactly what I'm disagreeing with, I'm afraid. I believe it's not "teacher qi" in this case (though it is or might be in many others) but actual luring, sticking, negating, redirecting, repulsing. By "teacher qi" I'm not implying that the master has no force or technique, but that the force or effect of the technique is being "magnified" by the student being obliging. In other words, I'm not suggesting that there was no "luring, sticking, negating, redirecting, repulsing", but that it might not have looked quite so impressive with someone else! Yup, I really do know what you mean, Dan. I understand you're not calling it a fraud or anything, just saying that there was compliance. On my part, I'm not saying the students were actively fighting the old man. I'm just saying they weren't "letting" him throw them, magnifying the effect, or anything of that sort. But I wasn't there! So what do I know? Indeed - and I wasn't there either, so what do I know! I have to concede at least the possibility that it was, in fact, skill and skill alone. Always nice having a discussion with a gentleman, Dan. And thank you once more for another excellent article. I have to disagree that internal principles cannot be learned except in the criteria of isolation and non-applications training. From my experience using TFT's training methodology, it is actually easier for complete shiros (neophytes) to learn body momentum strikes than it is to learn "chain whip flow" in Muay Thai or boxing or MMA. That's because there are a lot of strikes that can use the gross motor muscles and still be effective in transmitting force because it relies on structure, not skill tweaking small muscles to accelerate a foot into a target for a few split seconds. 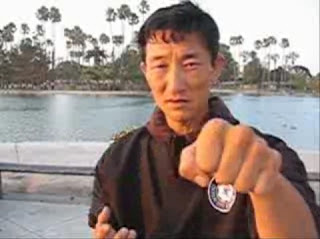 Whereas in external martial arts, if your punch lacks certain "muscle tweaks", it won't have enough power to do much, because most of the power comes from executing the technique right. Most of the power doesn't come from body weight in motion. A white belt moving his body 2 feet generates about the same force as a black belt moving his body 2 feet, assuming same body mass. But a white belt has far less punch power than a black belt karate, because he can't execute the power generating technique correctly. By focusing and making students move their body and use simpler level applications of momentum principles, they can learn "internal principles" far faster than the alive training used in sports fighting or hard TMAs. Both are alive training but the difficulty of external martial arts are more difficult than the simplified applications of internal arts. 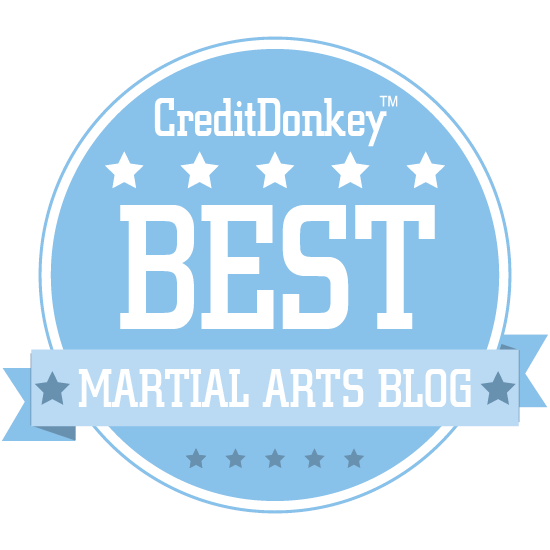 TFT is what I often call a "reverse engineering" of martial arts and fighting knowledge, back to its roots, and then reapplied to the goal of civilian, LEO, military self protection. My argument is chiefly that TFT has a peculiar training methodology which combines free fighting form randori with internal principles and applications.